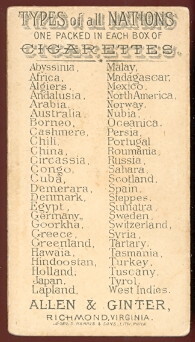 N24 Types of all Nations. 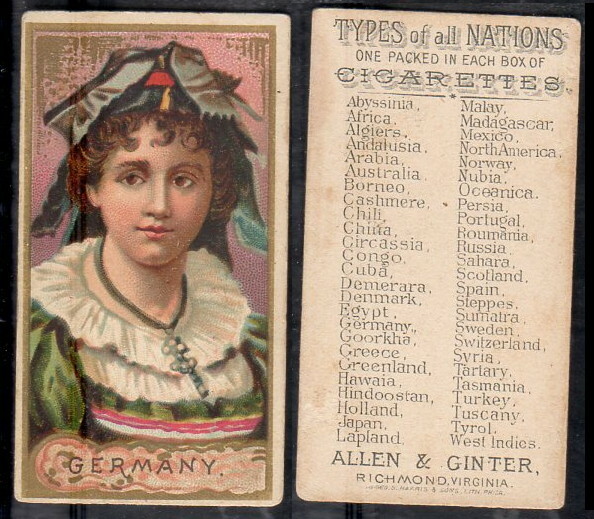 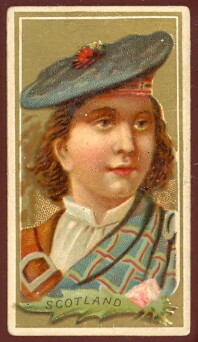 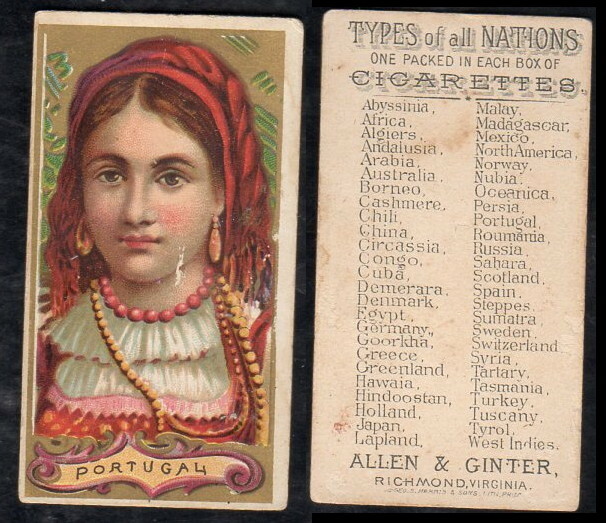 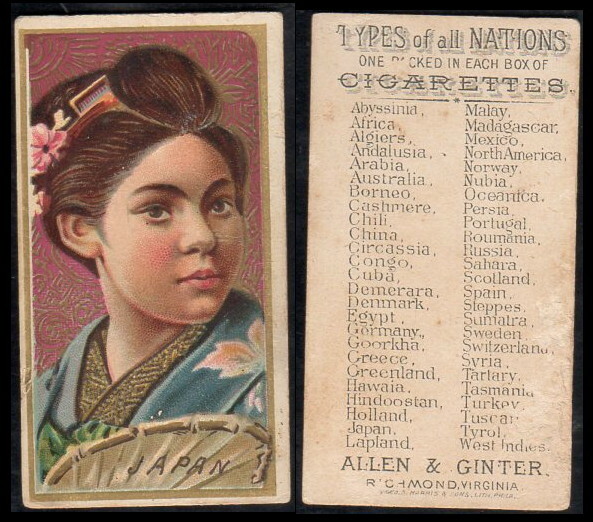 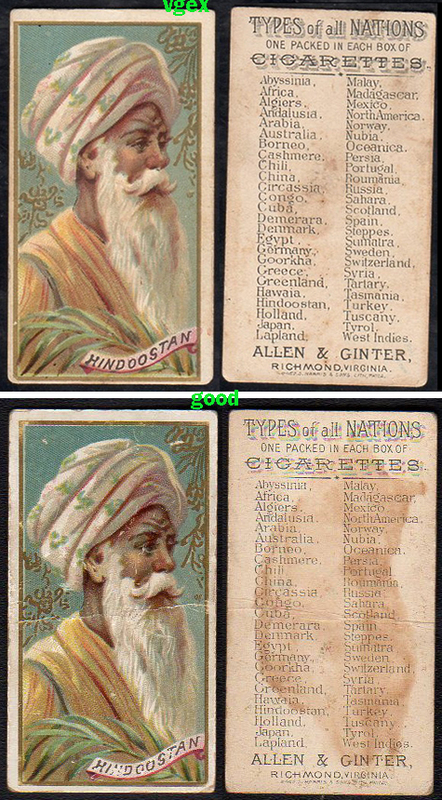 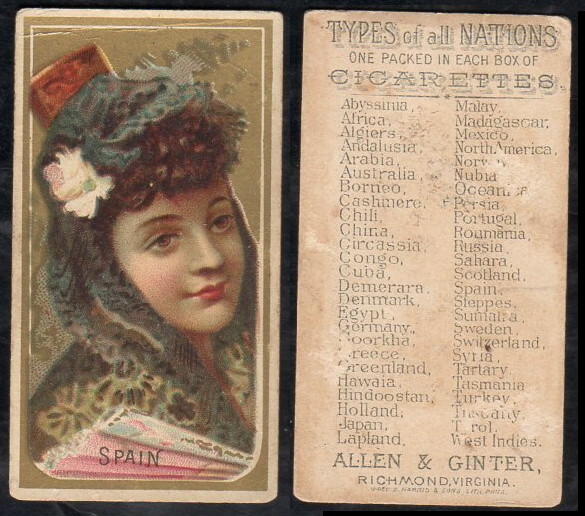 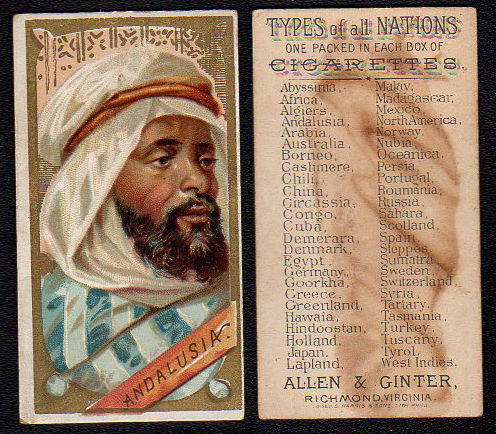 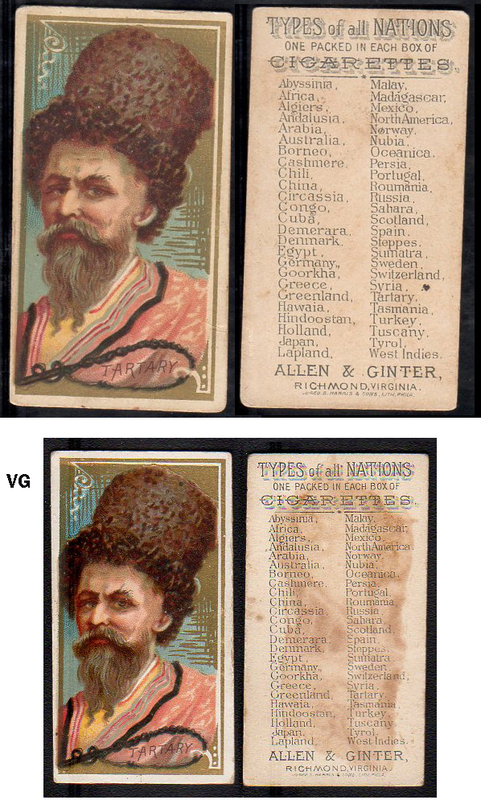 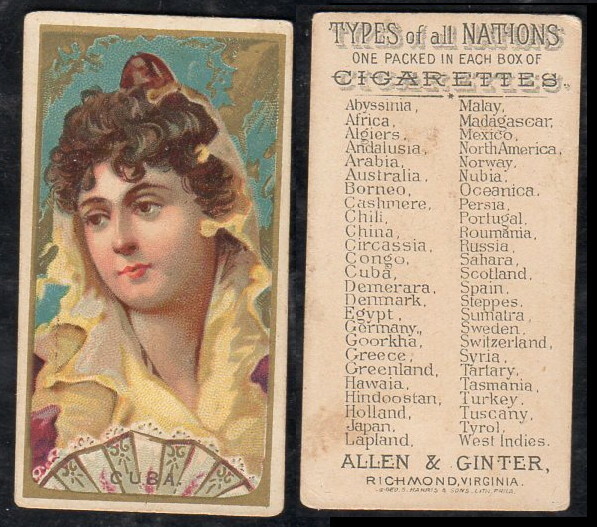 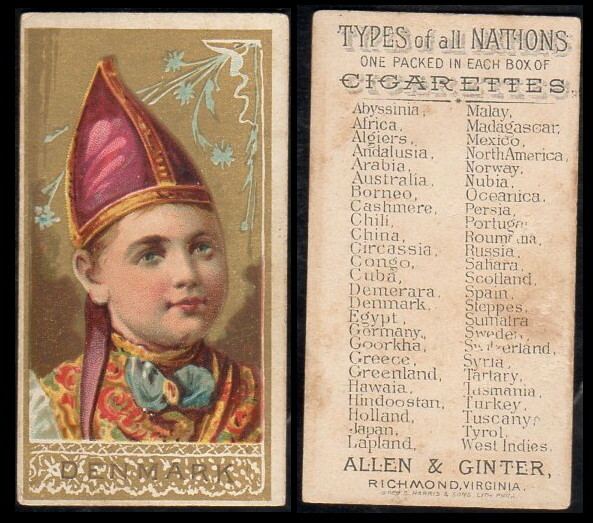 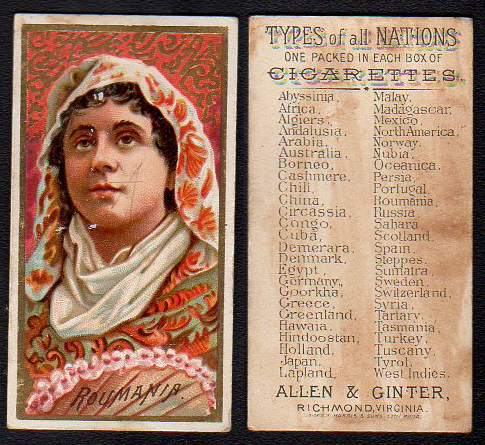 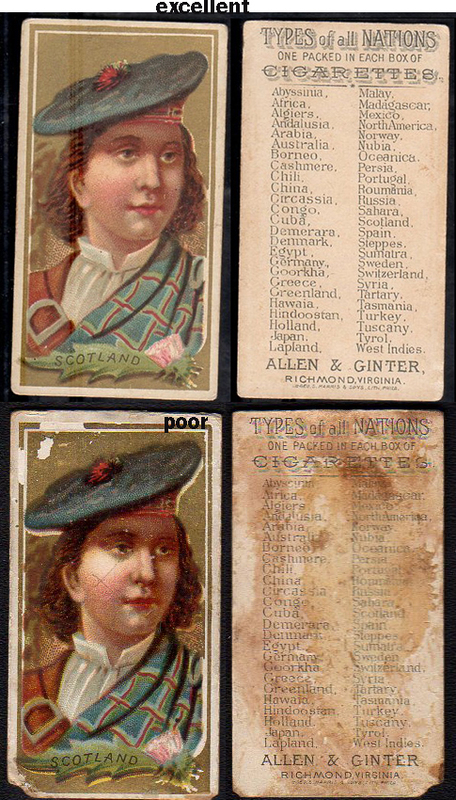 Issued around 1889, The cards measure 1-1/2" X 2-3/4" and there are 50 in the series. 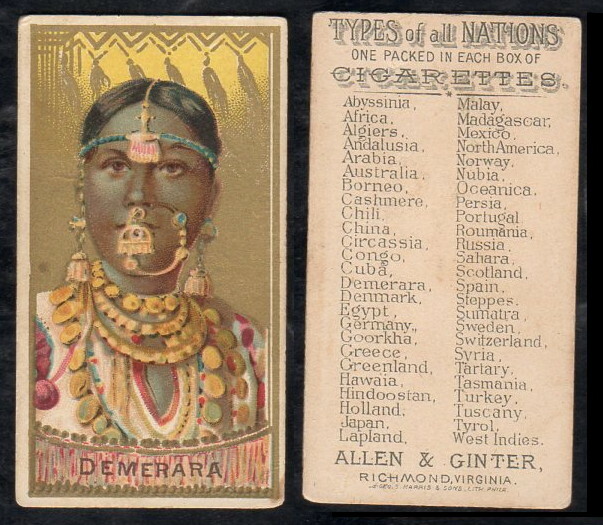 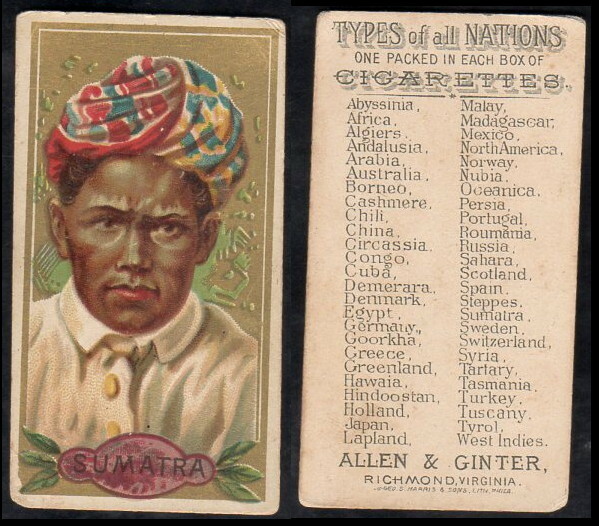 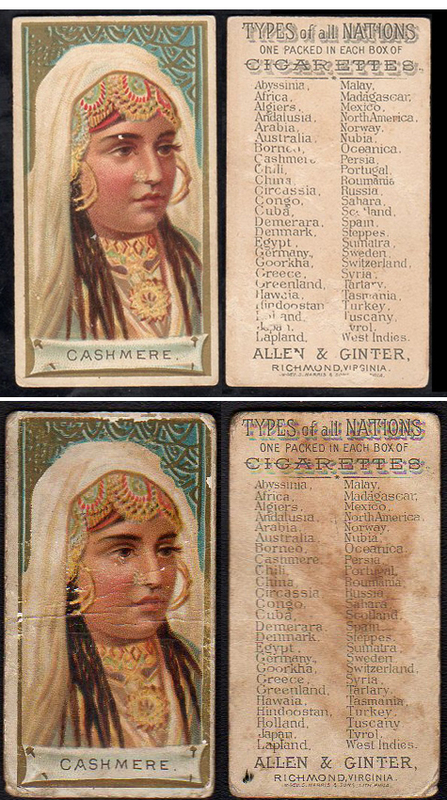 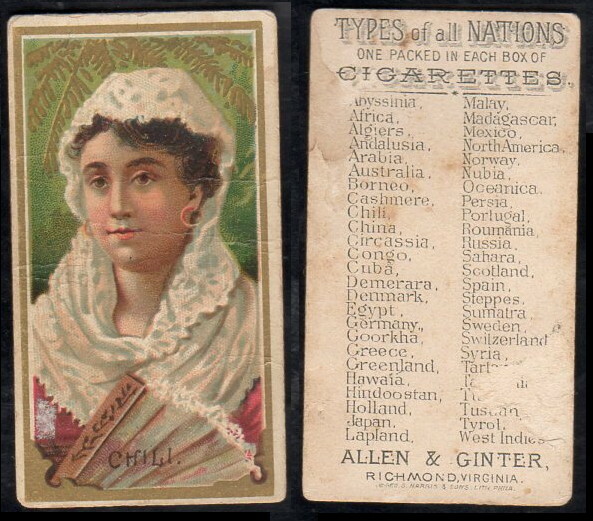 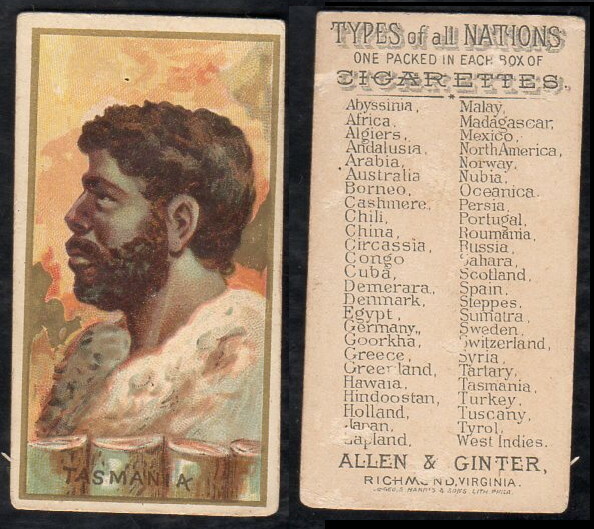 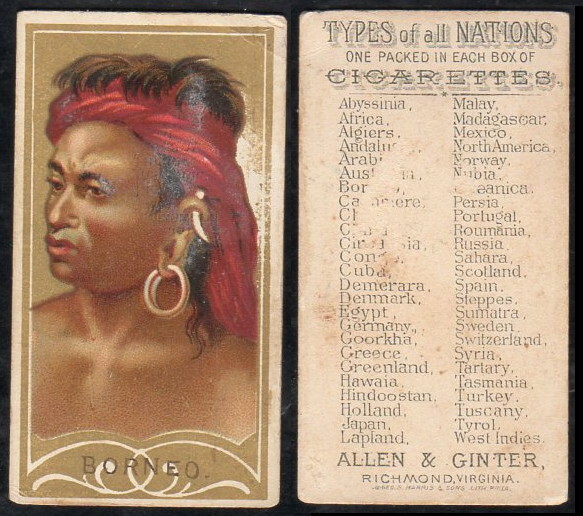 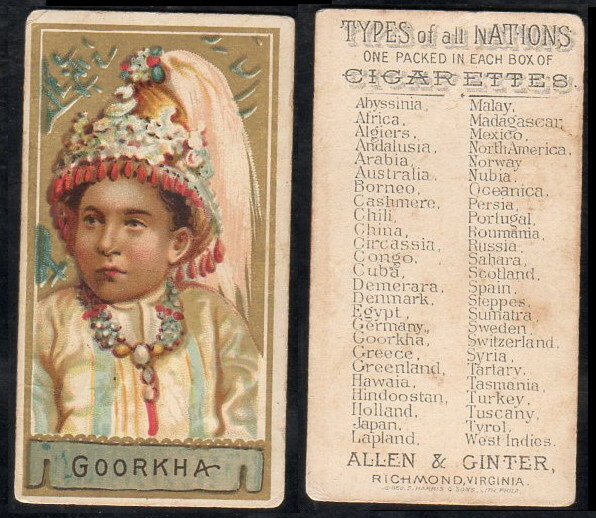 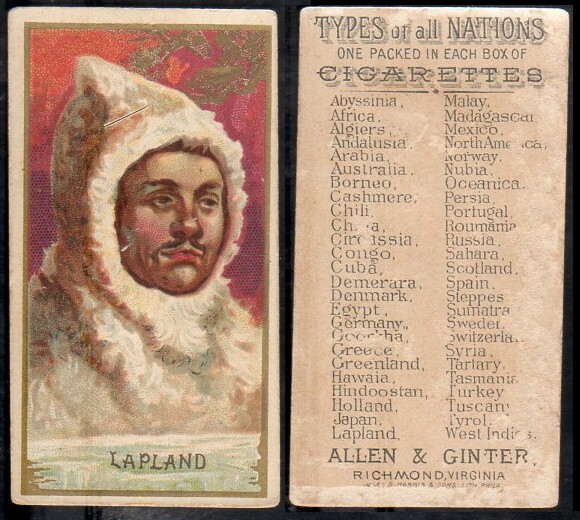 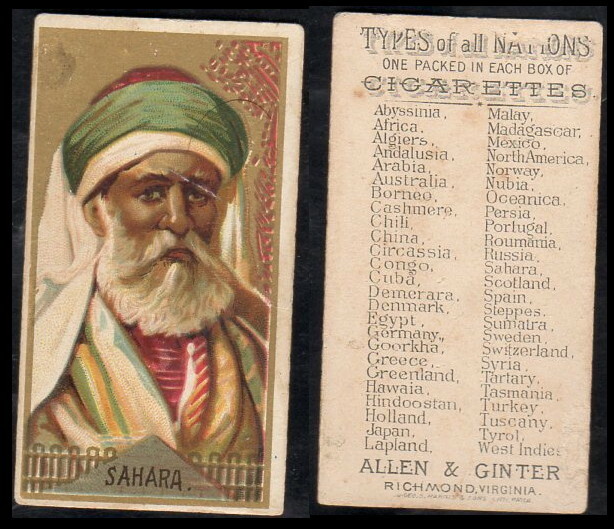 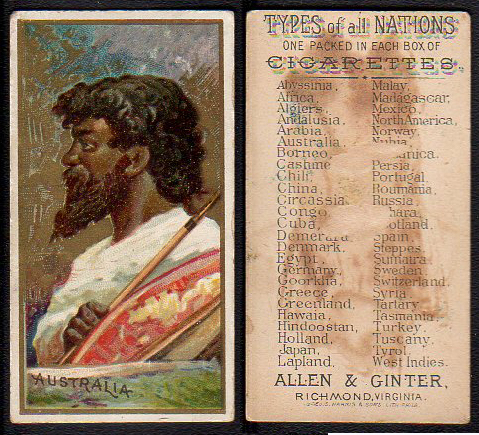 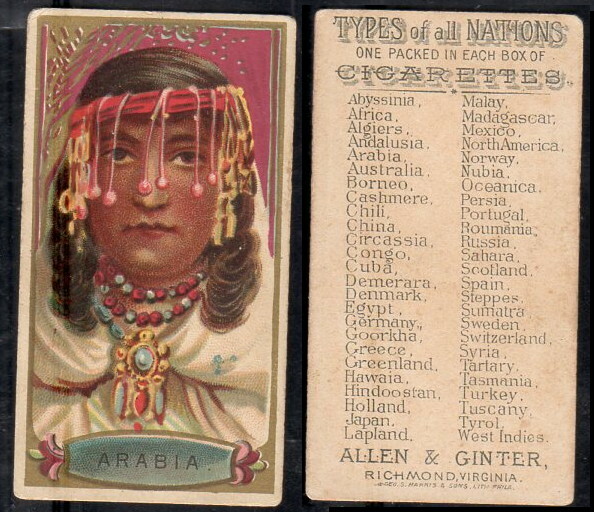 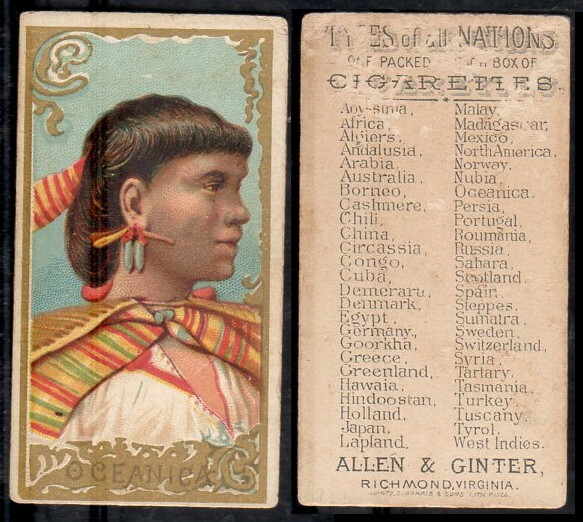 The cards have an unnumbered checklist on the back, and show just a head and chest shot of people in thier native garb from foreign countries.